Save 66% on this highly-rated cleaner! 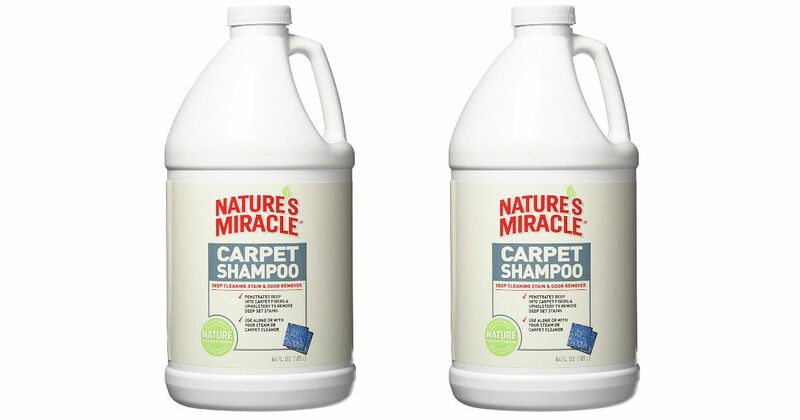 Score this 64-ounce bottle of Nature's Miracle Stain and Odor Remover Carpet Shampoo for only $6.99 when you opt-in for Subscribe & Save. Or, make a one-time purchase for $5.50, regularly $20.76. This is an add-on item and will ship with qualifying orders of $25 or more.